Quick Purchase Guide: What exactly is a shower panel system and how they work? What are the benefits of a shower panel system? How to Install a Shower Panel System? What to Look for on the best shower panel system? Is your bathroom looking old & sad these days? 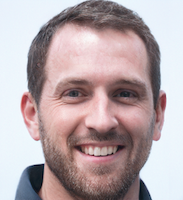 Are you looking for a way to modernize it, that doesn’t cost thousands of dollars? We have a solution for you. On this page, you’ll find 7 of the best shower panels of 2019. Before buying the best shower panel system for your bathroom, it’s important to do your research. 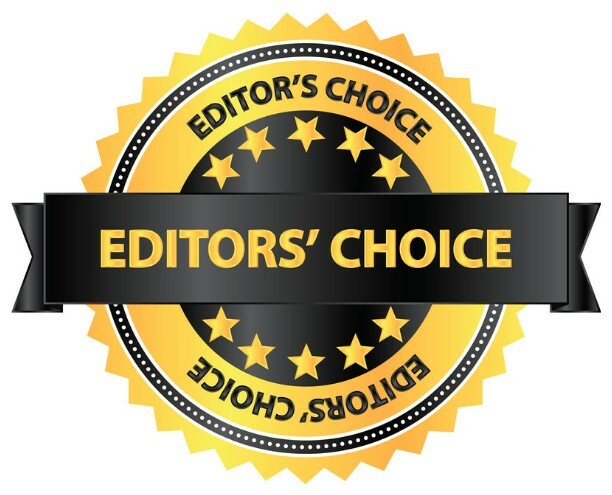 For your convenience, we’ve done the work for you, and prepared a shower panel comparison table, along with individual shower panel reviews, to aid your search. After the shower tower reviews, you’ll find our Ultimate Buyers’ Guide to answer any remaining questions, such as installation. Hope you enjoy! Finger-print free stainless steel construction, LED Rainfall & Waterfall showers, and 4 adjustable jet nozzles (for "Power Mist") combine to create 2018's best shower panel. With its 8 multi-function body-massage jets, 4-function handshower, and digital temperature display, the SPA392M sports top-quality components, and at an excellent price. With its high-arching rain shower head, perfect for taller individuals, the Pulse Showerspas' Panel has a beautiful minimalist design, and at a shockingly-low price. Black tempered glass construction, 8 body-mist jets, and a stylish rain shower head, combine to create one of 2018's best all-in-one modern shower panels. Made with high quality satin finish stainless steel, this Blue Ocean panel is fingerprint resistant, and has a personal mirror, perfect for improving hygiene routines. With colored LEDs in both the handshower, and overhead rain shower, the AKDY 5333D is a party you won't want to end. A stainless steel frame, and beautiful blue tempered glass, host an array of shower functions, and at a budget-friendly price. 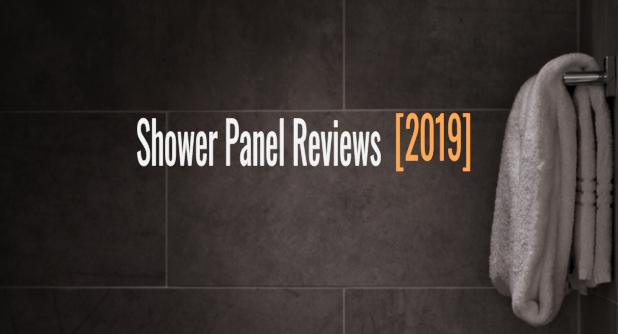 Without further to do, here’s the TOP 7 best shower panel reviews of 2019! 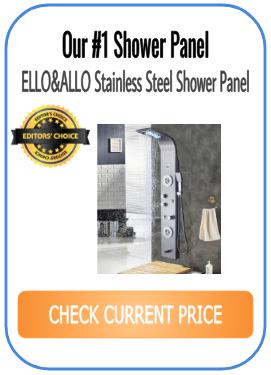 To start our list, the #1 rated best shower panel system of 2019, is the modern-styled ELLO&ALLO Stainless Steel Shower Tower. If you’re looking for the best shower tower money can buy, to consolidate all of your showering needs into one easy-to-use, and convenient place, the ELLO&ALLO model is our top pick. When compared to other highly-rated shower panels on our list, the ELLO&ALLO panel is superior due to its overhead shower system – consisting of both a relaxing LED rain shower, and a LED waterfall shower. Also, and important to keep in mind, the ELLO&ALLO tower consists of shower functions that work independently, of each other. This is a huge plus, because with low-quality shower panels, often times you’re not able to use the rain shower head, at the same time as the handshower, due to the loss of water pressure. The #2 best shower panel system of the year, is the Blue Ocean SPA392M. If you’re looking for the best value shower panel of 2019, the Blue Ocean SPA392M deserves to be on your radar. To start, this Blue Ocean shower panel earns its high regards, in part, due to its wonderfully-soothing 8 jet body-massage system, where gentle mist is utilized to wash away stress. Most shower panels on the market today, that have 8 or more body-massage jets, are going to be much more expensive, or worse, they will sacrifice quality. Also, to combine with its functionality, the Blue Ocean SPA392M looks absolutely stunning, with its tempered glass construction. If your bathroom is looking old these days, the SPA392M can surely give it the face lift it so desperately needs. The #3 best shower panel system, is also, the best cheap shower panel of the year, the Pulse Showerspas Shower System. At first glance, you’ll notice this shower head system looks a lot different from the first model on our list. If you’re going for a more traditional look, rather than a modern look, this is an AMAZING system. Next, pay close attention to the sliding / adjustable hand shower head. Many shower systems on the market will NOT have this feature, so this is a HUGE plus when comparing to other similar models. Also, and important to note, this Pulse Showerspa unit is designed to be incredibly EASY to install. The unit is pre-plummed, and surface-mounted. Lastly, check out the angle where the rain shower head connects to the base. This kind of extra height is AMAZING for improving your showering experience, and RARE for models in this category. Absolute game changer. At #4 on our countdown of the best shower panels 2019 has to offer, is the AKDY 787392B Shower Panel. Right off the bat, you’ll notice this shower panel is constructed with a stylish black tempered glass shell. You’ll also notice that this shower panel comes equipped with a temperature gauge. If you haven’t showered with a digital temperature gauge before, it’s an absolute game changer. Wondering if your water is the perfect temperature? Kiss those worries goodbye! We also love that this AKDY shower panel comes with a modern looking rain shower head, with easy-to-clean silicon nozzles. Also, This model also comes pre-equipped with a handheld shower head, that has 4 spray modes. We particularly loved the “massage” mode. Don’t waste another day with a cheap shower set up. Shower in luxury with the AKDY 787392B! 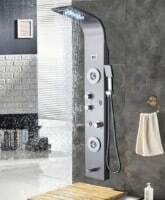 The #5 best rated shower panel of 2019, is the Blue Ocean SPV962332 in Stainless Steel. A very fancy and complete experience is what you get from the Blue Ocean shower panel SPV962332. This is one of the most sophisticated shower panels you can get in the market to create a spa experience in your house, with several different spray options to shower and have a massage experience. The panel itself is 52-inch long, with 8 jet shower heads providing horizontal spray, plus a big 9-inch wide rain shower head and a 5-inch wide handheld shower head. These three different sets offer a wide variety of combinations. The rain shower head can provide, apart from the rain shower spray, a full spray jet, as well as the handheld head that also includes a jet massage spray in the inner circle of nozzles. The set of 8 horizontal jet heads offer a high-pressure mist spray. The nice thing about all these options is the individual control for each one of them. Each head has its own dialer, so you can control the strength of the jet and consequently the amount of water poured. You will be able to make each one of them work separately or all of them together, or just one or another combined, is up to you to make all the combinations you wish.For last, you can control the water temperature through a digital controller. Just set how warm you want it and voila. The pipe system here has an individual setting where both cold and warm water are controlled digitally, so you don’t have to waste your time turning the faucets to find the ideal mix. The manual of the shower panel indicates the recommended temperatures but you can easily discover from these standards your own preferences and save the numbers for perpetual use. The last temperature set remains registered in the controller. As a plus, this panel comes with a tub filler. 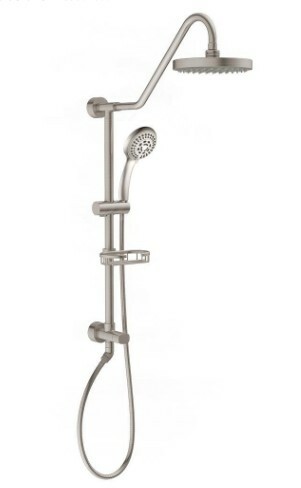 The handheld shower head includes the hose, 59-inch long. All the shower heads are made of stainless steel and finished in chrome, but the panel itself is made of a durable UPVC, which will be resilient against moist over time and will not corrode. The #6 best shower panel system of the year, goes to the AKDY 5333D. 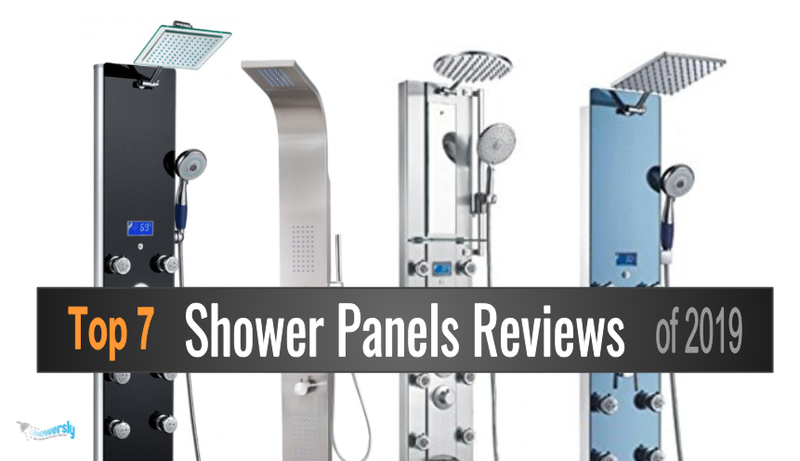 We have reviewed before here some AKDY models for other lists of best shower heads, and the brand doesn’t disappoint when it comes to shower panels. This set of shower heads is quite similar to the Blue Ocean one, but it is a little bit shorter (51-inch tall) and is made of aluminum, which is a great alternative for a material that is resistant to water. Another difference is the inclusion of LED lights to indicate the temperature of the water. While this panel also has a digital controller for temperature, houses where the plumbing system is wider and the water takes longer to get warm will benefit from this feature. You can set the temperature and wait for it to get the ideal warmth. While it is not ready, the lights will be blue, and when the light is orange, the water is ready so you can get under the shower at last. It will be red when the water is too hot, so this also work as an alert to avoid stepping under scalding water. Different from the Blue Ocean panel shower, this model has only one main dialer you can turn to set the showering you wish, including the combinations of all shower sprays or each one separately.And if you have a bath tub, this panel can work perfectly altogether as there is a tub filler valve included at the bottom of the panel. While it doesn’t include the tub, it does include the hose and the handheld shower. Finishing off our list of the best shower panels of 2019, is the #7 best shower system, the Blue Ocean SPV878392H. The square adjustable rain shower head is an trendy look for a modern bathroom, and the adjustable arm functionality is a plus. Do you have a favorite temperature to take your showers at? Great! This Blue Ocean SPV878392H comes with a digital temperature display, so you can take your showers at the perfect temperature, every single time. The panel itself is made of stainless steel and finished on a blue tempered glass. The outcome is quite beautiful and elegant, design to work with more minimalist, futurist decor sets. This model also comes with 8 jet nozzles, to provide a relaxing massage spray while enjoying the large rain shower head. Overall, the blue tint and stainless steel provide a sleek, but functional shower system. You’re not going to find a much better looking shower panel system for the price, than the Blue Ocean SPV878392H. If you take a look on how shower systems work on spas, they are robust and complex setups, embedded on walls and generally with more features someone can use at one showering time. The shower panel systems are a compact replica of that kind of infrastructure, firstly because it is possible to have many different options of showering with few resources these days due to technology. Secondly, they become affordable and beautiful, so much many spas often started to integrate them to cut costs and still provide a spa treatment when showering. While in spas the showers heads are all installed independently on the wall, with a project that often is independent and executed by the establishment, the shower panels integrate all the features into one singular system. The panel is often easily attachable to the wall and all the plumbing connections can become easy to deploy when they are all linked to only one pipe that will connect to the plumbing system of the house through the elbow connector or a diverter, not much different from installing a simple shower head set. More complex models will require you to embed it into the wall, and the ones that have electronic, digital interfaces, may require a power source to make it work constantly. Some models have batteries to make that task simpler to install, but is not exactly that easy to replace them. Apart from being a great alternative for a spa at your house, shower panels are a great way to unify a lot of options during your showering with more customization and ease. For example, the hot/cold water mechanics with a panel shower is simplified with either digital temperature controllers or just one faucet handler. Many houses still have the two faucets system for hot and cold water, this can be very irritating when the seasons change as your intuition fails to know how warm/cold the water already is. Is a guessing game that can cost your money as you waste some water until you find the ideal temperature. With shower panel systems this becomes much easier and fast. Another great point is the compatibility of many panels with bath tub implementation. You don’t even have to have one at your bathroom already, but the option will be there. For last, shower panels are beautiful and elegant and they cost much less than deploying an independent project. Likewise, you don’t take the risk to later have to open walls in case something goes wrong in the plumbing system (at least if you don’t embed the panel in the wall). That will always depend on the model you did purchase, but the DIY ones require a drilling machine, fixing screws and the basic tools to connect the pipes. It is like affix a cabinet or a shelf on the wall and like connecting a shower head to the pipe line of the house. All models come with a manual guide. If you are not skilled on deploying appliances in general, is always good to have the services of professionals, but for those who know how to drill and install simple showers there is really no big mystery here. Height: Panel shower come with a deal of massaging shower jet heads. You don’t want to waste their potential at all as it would be really pointless to have a complex system like this and do not enjoy one of the most unique features they can provide. You have to consider the height of the shower panel and your own height to know the best combination. The tallest models will surely benefit tall people, and the opposite goes for short people. Kids don’t enjoy too much shower panels because of this inflexible trait. Most models are at least 50” tall, while there are short ones like the Decor Star 006 we reviewed here, which is 41”, ideal for short people. What happens when you are small and have a tall shower panel is the fact you will likely have either one set of massage jets spraying on your legs and the upper one on your face and the opposite goes for tall people, who will end up massaging their belly and knees with short models, something pointless. Be careful to know whether a panel is compatible with your height and, the height of all people that are supposed to enjoy the showering. Pressure: As these panels work with several jet heads, they have standards of water pressure that must be met. Most models require at least 41psi, so your house plumbing system must be up to this requirement. Likewise, they can’t handle too pressure either and you have to check their limitations as well before you purchase. Anti-clog feature: If the water on your house faces issues with limescale deposits and such, is really important that your shower panel system has rubber or silicone alike nozzles, because they are naturally anti-clogging and very easy to clean. All models here have that feature, it is really essential to make your life easier that the nozzles have this kind of material because it can be really, really annoying to clean all these shower heads to remove deposits. You can also think on alternatives to make the water purer with shower filters. We also reviewed some of the best shower filters here in our site so you can take a look in case you think you have to consider one before installing a panel. Battery sourced panels: Some models of our list here work with batteries to make the digital interfaces work. Is always good to check where in the panel they are stored. Most models here have the batteries places at the bottom of the panel, which is much easier to replace them, while other models – not listed here – have the batteries placed at the top of the device. They will be a little bit of a burden to replace as you will need to stand on a chair or something to reach the top. Now you have all the tools you’ll need to select the best shower panel system for your home, in 2019. Hope you enjoyed our top 7 list, comparison table, and ultimate guide. Now, you’re all set the choose the best shower panel system for your taste. Happy showering!